Scenic has announced its second round of Ever Wondered sessions for 2016 which will run nationwide from 7 June to 30 June. 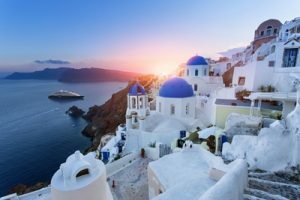 In partnership with local travel agents, Scenic is inviting agents to bring along their clients to an Ever Wondered session to find out more about a range of different Scenic products – the new Scenic Eclipse ocean cruising program launching in August 2018; 2017 Europe River Cruising; 2017 Canada, Alaska & USA; 2017 South America and 2016/2017 South East Asia River Cruising. Driving guests to book with their local Scenic agent, the free sessions will take place over four weeks and will be hosted by the local Scenic team of experts who will be on hand to answer any questions and help guests decide which itinerary is right for them. Special offers are also available on the day. For anyone that is unable to attend, Scenic is also holding free webinars. All sessions are free but seats are limited so pre-booking is essential. Agents are encouraged to register their clients online and attend with them on the day.